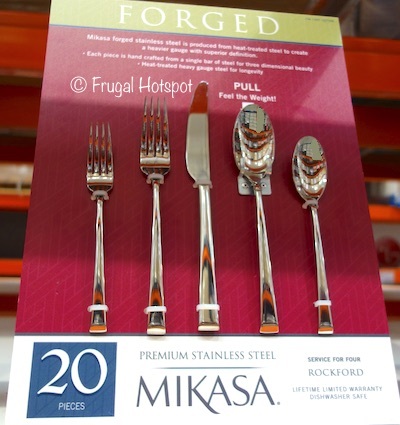 These heavyweight, beautiful flatware pieces add a stylish touch to the dining room table and are also dishwasher safe. 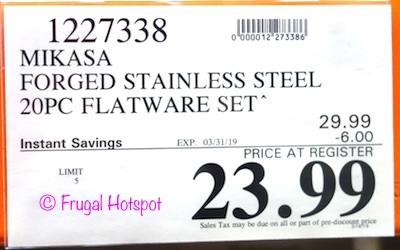 Select Costco locations have the Mikasa Forged Stainless Steel Flatware Set 20-Piece on sale for $23.99 (after instant savings), now through March 31, 2019. That is $6 off Costco’s regular price of $29.99. While supplies last. Item #1227338.